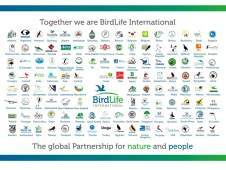 The approaches developed through State of the world’s birds are being used by many BirdLife Partners and other NGOs to create national reports—detailed assessments of the status of birds and bird conservation in specific countries. These publications draw on national survey and monitoring data to provide a detailed and authoritative insight into the status of and pressures faced by birds and biodiversity in specific countries, with inspiring examples of conservation actions being undertaken by BirdLife Partners and others. Many of these reports have been supported by the Aage V. Jensen Charity Foundation. 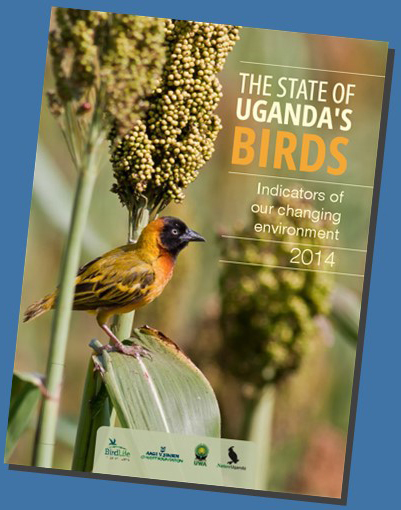 The State of Uganda’s Birds 2014 is a report published by NatureUganda (BirdLife in Uganda) outlining the state of the countries birds, the threats they are facing, and the conservation responses being implemented. It highlights the need for further monitoring to better understand the ecology, status and movement of key species. 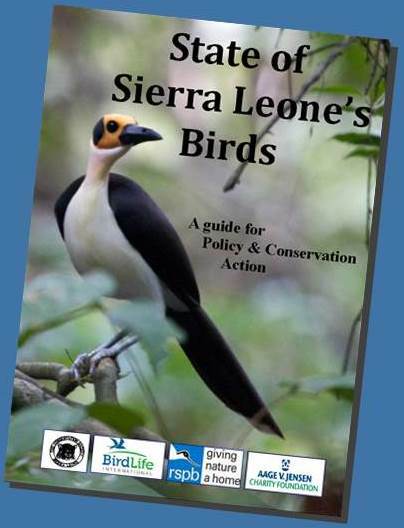 State of Sierra Leone’s Birds: a guide for policy and conservation action, is a timely assessment of the current practical environmental issues affecting the country’s biodiversity, particularly birds. Located on the western edge of Africa, on the westernmost extent of the Upper Guinea forest, Sierra Leone certainly has a rich avifauna, including three endangered, 10 vulnerable and 12 near-threatened species. Deforestation, urban sprawl, and the degradation of coastal ecology are some of the key factors having negative impacts on the country’s avifauna and wider biodiversity. The report aims to motivate conservationists, protected area managers, policy makers, bird enthusiasts and concerned citizens to take collective action to conserve the country’s valuable natural endowment. 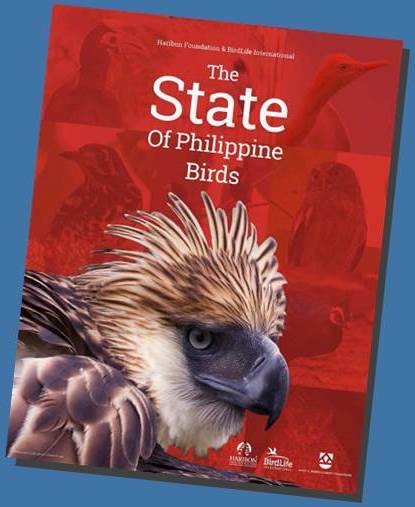 The State of Philippine Birds, launched by the Haribon Foundation in August 2014, provides up- to-date information on the changing status of the country’s impressive avifauna. With over 600 bird species, almost one third of which are endemic, the Philippines is one of the most ornithologically important countries in the world. The report will help raise awareness and appreciation of the country’s rich avifauna both nationally and globally and assist policy-makers and conservationists in making better informed decisions. 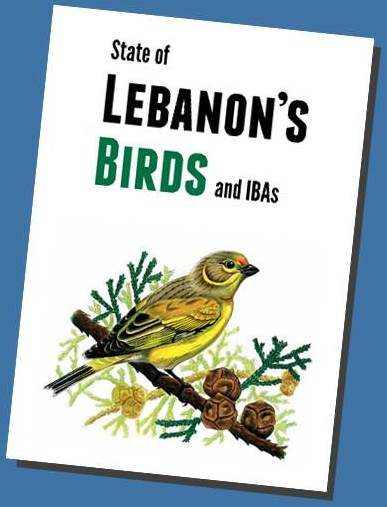 State of Lebanon’s Birds and IBAs is the first publication of its kind for Lebanon. It constitutes an important national scientific resource, collating all available data on birds, sites, habitats, and conservation efforts for birds and biodiversity in Lebanon. Section Four: Conservation & Management of IBAs & Birds (People). In 2013, the Royal Society for the Conservation of Nature (RSCN)—BirdLife in Jordan—launched a major report on the status of the country’s avifauna. 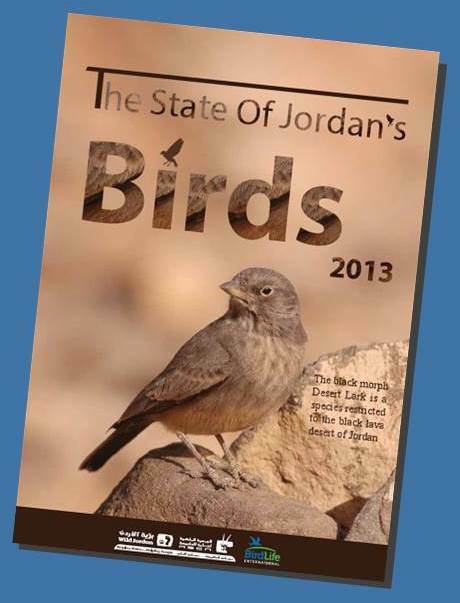 The publication, entitled the State of Jordan’s Birds, provides a detailed assessment of current bird populations, the threats they face, and the conservation actions that are being put in place to safeguard them. It is hoped that this timely report will sound an alarm in the minds of all those concerned for the future of birds and biodiversity in Jordan and help galvanise action to safeguard the country’s outstanding natural heritage. Fiji’s first ever State of Birds report has been prepared by NatureFiji-MareqetiViti with the assistance of the Department of the Environment and local ornithologists. 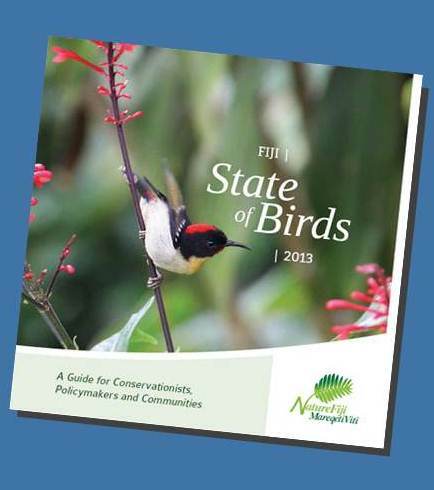 The 44 page report provides an overview of the issues facing Fiji’s birds and emphasises how useful birds are as flagships for other elements of biodiversity. 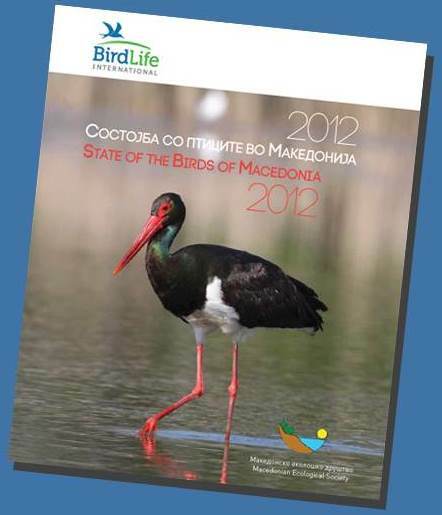 State of the Birds of Macedonia 2012, produced by the Macedonian Ecological Society (BirdLife in Macedonia), provides an overview of the country’s avifauna: its current status, the threats it faces and the actions that are being taken to protect it. 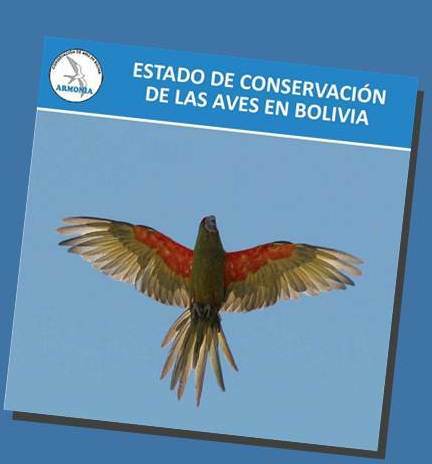 Launched in early 2012, Estado de conservación de las Aves en Bolivia (State of bird conservation in Bolivia), produced by Asociación Armonía (Birdlife in Bolivia), provides a detailed assessment of the current status of the country’s avifauna. Bolivia is the sixth most bird-rich country in the world, boasting an impressive 1,422 bird species. The report examines the principal threats facing birds in the country and outlines what steps are needed to prevent further environmental degradation. Designed to appeal to a wide audience, both nationally and internationally, the report is intended to raise the profile of bird conservation amongst Bolivia’s policy makers and help mainstream biodiversity concepts into political policies. 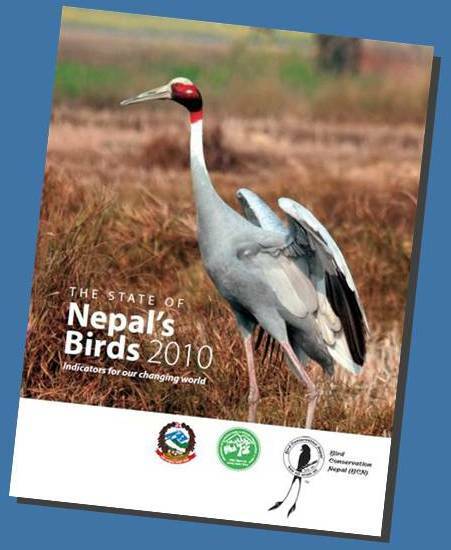 State of Nepal's Birds 2010, produced by Bird Conservation Nepal (BCN; BirdLife in Nepal), aims to raise awareness amongst policymakers, the general public and conservation organisations of the plight of Nepal’s birds and the responses needed to help secure their conservation. It shows that, since the last assessment of Nepal’s birds in 2004, the status of the country’s avifauna has deteriorated. There are now 149 bird species considered nationally threatened, 16 more than in 2004. Human activities lay behind these declines, especially those associated with the spread of agriculture. Fortunately, the Nepalese Government recognises the importance of biodiversity, whilst across the country there are numerous excellent examples of conservation being carried out by a range of Non-Governmental Organisations. Many of these recent successes are discussed in detail within the report. 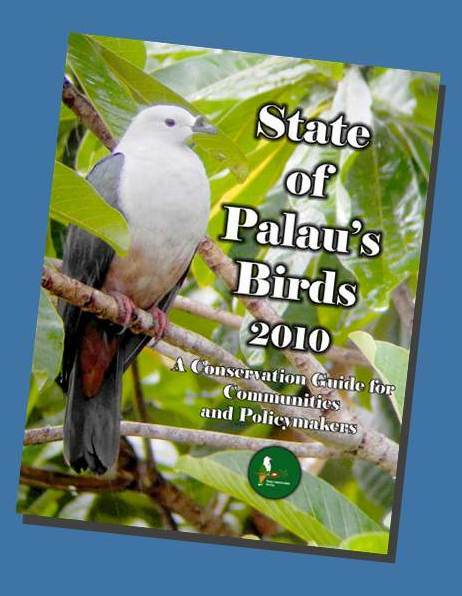 State of Palau’s Birds 2010, produced by the Palau Conservation Society (BirdLife in Palau), is a conservation guide for communities and policymakers. The islands support a rich avifauna with nine endemic species and several important seabird colonies but, as the report makes clear, many of the archipelago’s bird species are in decline. Loss and degradation of habitat, illegal hunting, invasive species and climate change are identified as the principal threats. Despite these serious challenges, the report is optimistic in tone—outlining in detail the actions needed to protect both birds and biodiversity. Thanks to hundreds of researchers a new publication highlights the serious problems facing birds in Colombia—establishing a barometer for the state of the environment in this, the richest country for birds on earth. 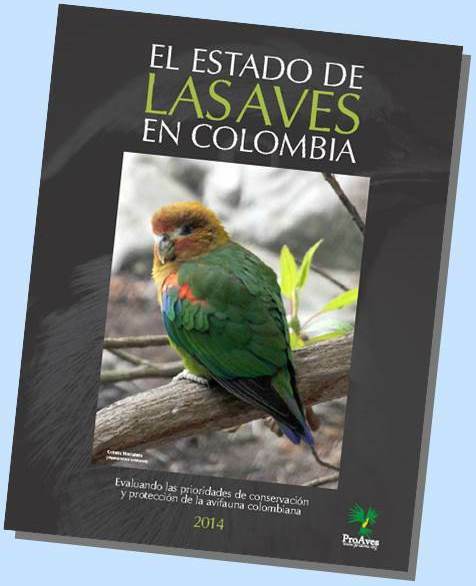 For the first time, The State of the Birds of Colombia evaluates the status and priorities for the conservation of Colombian birds. Unfortunately, the status of birds in the country has deteriorated rapidly over recent decades. 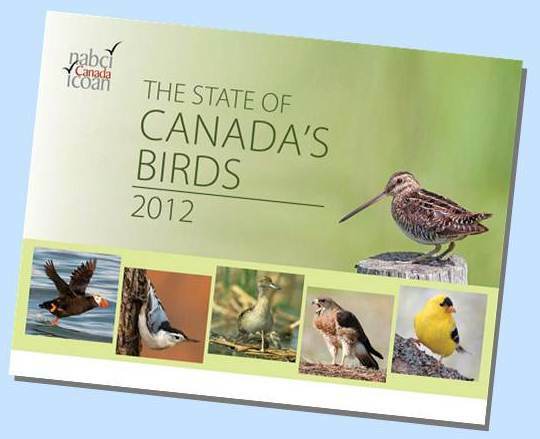 The State of Canada's Birds 2012 report draws on 40 years of data to create the first-ever comprehensive picture of the current health of Canada's birds. Produced by the North American Bird Conservation Initiative (NABCI-Canada), whose members include Bird Studies Canada and Nature Canada (BirdLife’s Partners in Canada), the report points to the strong influence of human activity on bird populations, both positive and negative, as well as the need for urgent action for bird conservation. 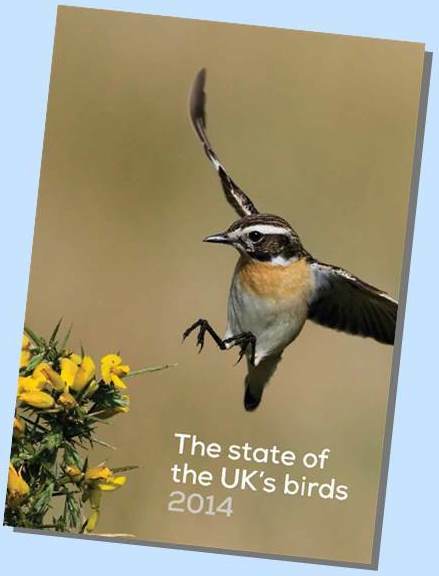 The Royal Society for the Protection of Birds (RSPB; BirdLife in the UK) has produced an annual State of the UK's Birds report for over a decade, summarising the fortunes of bird populations throughout the United Kingdom. The latest report, the fifteenth in the series, draws on many sources of information to give an up-to-date overview of the status of bird populations in the UK and its Overseas Territories. 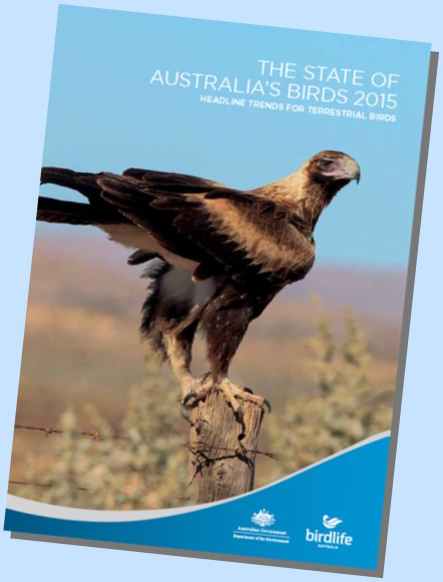 The State of Australia’s Birds report series is one of Australia’s most comprehensive series tracking trends in bird populations and their health. First produced in 2003, the Reports are a go-to guide on the status of Australia’s bird populations, designed to inform decision making on land management, and direct conservation and policy that affects Australia’s birds and biodiversity. Thousands of volunteer citizen scientists around Australia make these reports possible, collecting and tracking the data that is used to identify threats and solutions. Launched in July 2015, this report marks the beginning of a new era in the series, introducing the ground-breaking Australian Bird Index. 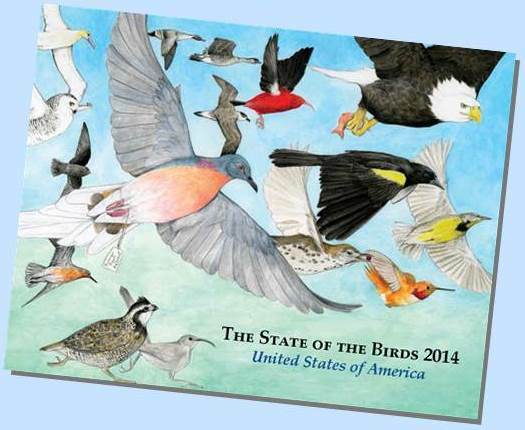 Launched on the 100th anniversary of the demise of the Passenger Pigeon, State of the Birds 2014 is a timely reminder of how humankind’s impact on, and attitude to, the environment can be dramatically exposed through the fortunes of birds. The 2014 report, produced by the U.S. Fish and Wildlife Service in collaboration with a number of North American environmental organisations including the National Audubon Society (BirdLife in the US), is the fifth assessment of its kind and a powerful indicator of the current state of America’s bird populations and the habitats in which they live. 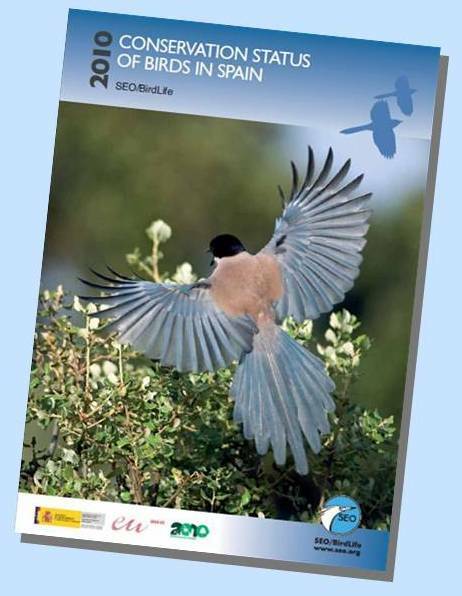 Conservation status of bird in Spain in 2010 is a report produced by SEO (BirdLife in Spain). 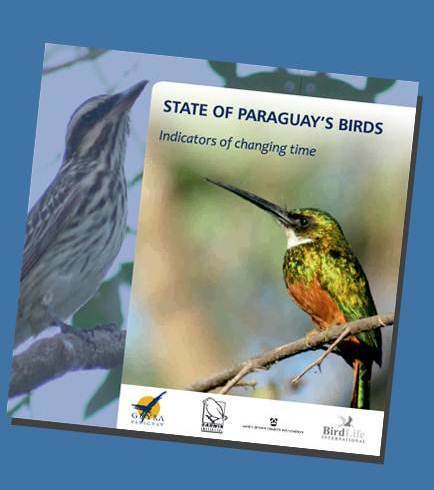 It outlines the state of birds across the country’s main habitats using data collected as part of the Common Bird Monitoring Programme (Programa de Seguimiento de Aves Comunes Reproductoras, SACRE).